The number one question at any retail nursery is .... What is the price of this plant? Our Touch & Go Labels and dispensor makes it quick and easy to price nursery stock. Choose from a wide range of popular pre-printed price points. 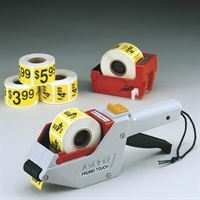 Labels are made of bright yellow weatherproof plastic with black print to make it easy for your customers. And our special wet-stick adhesive that sticks even under moist conditions. 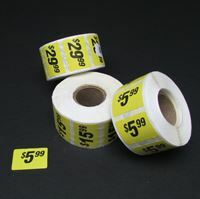 Labels come 250 per roll and two sizes are available. 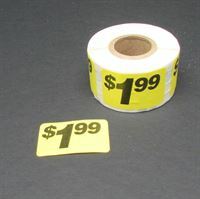 Give us a call to for a quote on custom price points or adding your company name to the labels.